The Mexican peso rose 0.85% versus the dollar Thursday. Banco de Mexico raised its main rate to the highest level in nine years. The Mexican peso climbed Thursday after the country’s central bank hiked its key interest rate to a peak not seen in nine years. The peso was up 0.85% versus the dollar at 2:45 p.m. ET. Banco de Mexico raised its main rate by 25 basis points to 7.75%, the highest its been since 2009. Most economists had expected the central bank to hike, with only four of 22 economists polled by Reuters predicting it would hold rates steady. 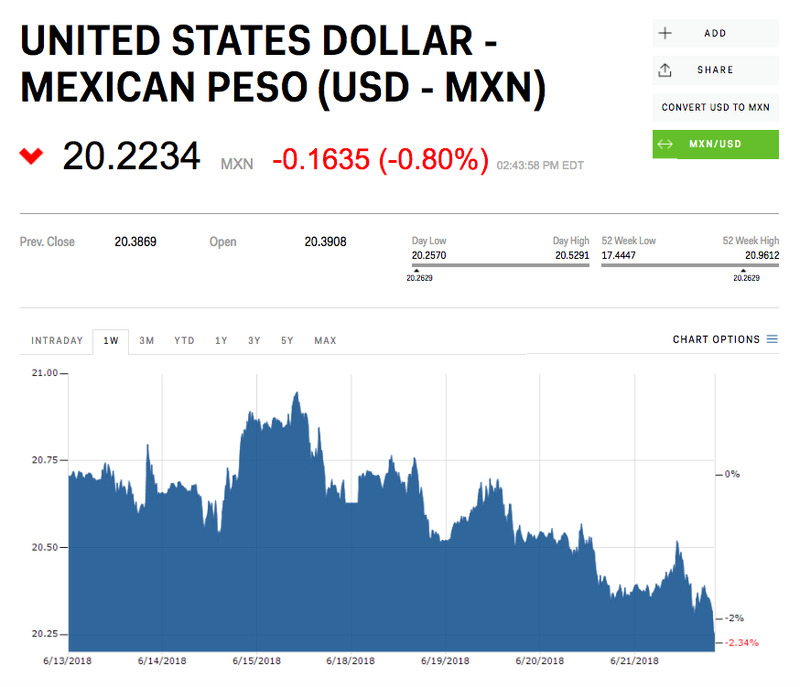 “Most importantly, however, we expect a period of heightened volatility in Mexico between AMLO’s likely election victory on 1 July and inauguration day on 1 December, since it will be during that period that investors will get to know AMLO’s likely cabinet,” Elias said. Stalling NAFTA negotiations and a dollar rally have also been weighing on the peso, which has shed more than 9% versus the greenback since March.